Welcome Home! This sunny and grand 3 bedroom with 2 bonus room and 2-3/4 Bath property has so much to offer that a tour has been created for you when you come and view it. Located in a friendly neighborhood and close to Laguna Middle School, parks, shopping and the highway. The newest upgrades done to this wonderful home is a total upgrade of the Master bedroom closets and flooring and en-suite bath that includes new vanity, tile shower and flooring. Although this home is two stories, the master bedroom & bath is located on the entry level, with minimal stairs. Engineered hardwood flooring and newer paint in the stairwell and vaulted living room makes for an open and light filled cozy space. The energy efficient upgrades on all lighting will make a difference on your utility bill with LEDâs throughout. 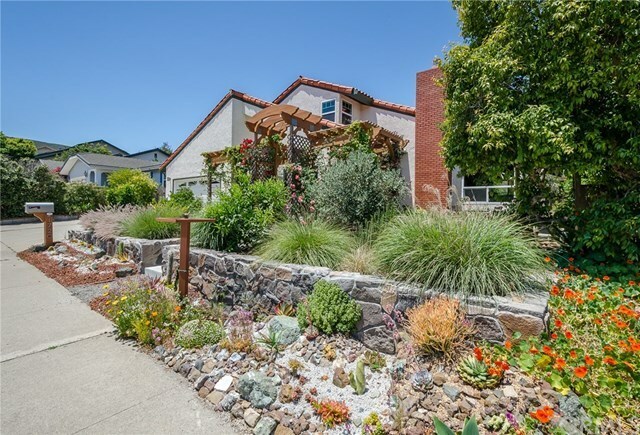 The newly landscaped front yard with stone retaining wall, entry pergola and spectacular cactus & gem garden play nicely with the fruit trees and seasonal climbing vines and flowers. The large garage has lots of areas for storage and multiple charging stations including a NEMA 14-50 240v outlet for Tesla charging and 30amp 240v for electric car charging. The back yard is generous and the large glass enclosed patio is perfect for dinner under the stars. Don't miss the self guided Home Highlights Tour to give you a taste of what this home has to offer when you view the property. Directions: From Madonna rd, Go North on LOVR, Make a right on DIABLO, the house is the third house on your right just after Del Rio.